A grey winter gloom descended over Copenhagen as delegates from member nations of the International Equestrian Federation (FEI) began arriving in November for its annual General Assembly. The outlook was rather sunnier in the world of equestrian sport. 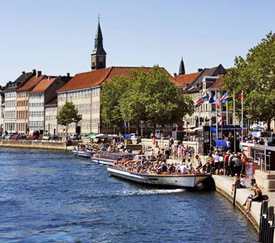 The international governing body must have been upbeat as delegates from more than 100 nations prepared to meet at the Marriott Hotel, a large red-brick high-rise that stands beside one of the Danish capital's canals. And why shouldn't the Lausanne-based organisation have been upbeat? Equestrian sport was poised to put the doping embarrassment of the 2008 Beijing Olympics behind it. It rightly anticipated strong support for its ground-breaking Clean Sport initiative, the result of two commissions of inquiry and an investment of some €1.8 million. Delegates were also to vote on a new streamlined structure to replace the large and, some would say, unwieldy 22-strong governing FEI Bureau, substituting it with a much leaner skills-based seven-strong team. It had all the hallmarks of a new beginning and it seemed little would stand in its way. Within days, proposals for a streamlined governing bureau had been scuppered and headlines that should have been singing the praises of its Clean Sport strategy were instead taking aim at the FEI General Assembly vote that brought in a controversial new drugs policy. A close vote saw the so-called progressive list passed, which would effectively allow horses to compete with small levels of a handful of non-steroidal anti-inflammatory drugs (NSAIDs) in their system. Most major equestrian nations left Copenhagen fuming and the FEI soon swung into damage control, attempting to explain the reasons behind the new policy as headlines around the world screamed drugs and reports suggested a major rift was likely among equestrian nations. How did it get to this point? The plan was surely to put the indignities from half a dozen positive drugs tests in horses at Beijing behind equestrian sport. How could an occasion that should have showcased its drug-free credentials grab headlines for all the wrong reasons? Why would member nations toss out plans for a streamlined and efficient management structure which most international sporting bodies would surely have welcomed? Equestrian Sports New Zealand (ESNZ) chief executive and secretary-general Jim Ellis probably learned of the progressive drugs list like many delegates to the General Assembly. It arrived in his email inbox as he was en route to Copenhagen, where he and ESNZ president Jennifer Millar were to represent New Zealand. He can't recall exactly, but he suspects he downloaded it during a stopover in Singapore. The FEI acknowledges that it sent out the progressive list to national federations on November 13, six days before the General Assembly was to meet. 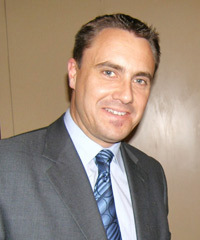 Ellis said federations were already in possession of the existing prohibited substance list, which had been modified and updated for 2010. The so-called progressive list was something entirely new. He said the FEI had sent out a "whole raft" of emailed material in the two months leading up to the General Assembly, some relating to the anti-doping initiative and some in respect of crucial governance changes on which delegates were being asked to vote. The FEI system for issuing papers and drafts was poor, he said, and reflected what he believed was poor process, especially given that some of the changes were on important issues of governance. In Singapore alone, he recalls downloading three or four emails in respect of proposed changes. "There were too many changes. It did not respect the time of the delegates," he said. "They kept sending the paper. The process was very poor, to my mind." New Zealand, for one, had key issues needing attention in Copenhagen, including proposals which made the nation's qualification path to the London Olympics in showjumping much tougher than it had been for Beijing. He arrived in Copenhagen on the Saturday and, after a day to throw off the effects of jet lag, got down to business on the Sunday. It was ultimately the poor process surrounding plans for a more streamlined FEI management structure which led to its demise, he believed. Despite what he felt was overwhelming support for the concept, the FEI made "functional errors" in how it set about making the constitutional changes needed to install a tighter representative governing team. It would have been more proper to agree the constitutional changes and then set about an orderly transition to the seven-person panel in the following year, he said. However, the FEI was determined to not only make the changes, but get the new team in place. The FEI called an extraordinary meeting on the Tuesday morning and wouldn't even allow a debate on the statue changes - a situation he described as bizarre. The FEI was keen not only to bring in the changes, but elect representatives at the same time. In the end, member nations rejected the streamlined structure largely on the way the FEI was trying to push it through. The vote appeared close - 48 in favour, 49 against - but the FEI in fact needed a two-thirds majority to push it through. The result, said Ellis, was "a clear statement from the FEI's national federations that the controversial process that had been followed was neither acceptable nor ethical despite a strong underlying mood for change". "The only way was to throw it out," Ellis said. If a gloom descended after delegates' rejection of the more streamlined structure, the FEI would surely not have anticipated the thunderclouds gathering around the progressive list. Ellis and Millar had busied themselves on the Sunday, making final preparations for the week's proceedings. The pair met on Sunday evening with the Australian representatives, including Equestrian Australia chief executive Franz Venhaus. First up on Monday was a meeting of Asia Pacific Group 8 nations, where showjumping qualification requirements for London in 2012 were top-of-list. Talks were also held later with Group 3 nations, covering Eastern Europe, which were also affected by the proposed changes. Talks and attempts at a compromise were at times tense, at one stage even vitriolic. On Tuesday, after the extraordinary general meeting, each group was given time - 30 to 45 minutes - with the 22-member bureau to raise any regional concerns. "We were given an assurance from the bureau that the changes would not progress, would not be voted on, because there had not been adequate consultation." That ultimately counted for little later in the week as the General Assembly voted in changes that dramatically reduced New Zealand's chance of qualifying for showjumping in London. Our riders must not only get past the nations in Group 8, but also those of Eastern Europe to earn a place. Wednesday was taken up with presentations and seminars. The centrepiece was a two-hour presentation at 4pm explaining the Clean Sport initiatives on which member nations would vote the following day. 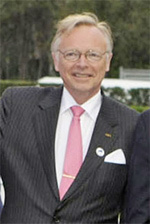 Ellis believes two-thirds of nations were present for the presentation, which included addresses by Professor Arne Ljungqvist, who drove the Clean Sport Commission, and Lord Stevens, whose commission was established as the diagnostic and investigatory arm to dovetail with Ljungqvist's work. The seminar delivered a clear message. Doping had been an endemic problem in the sport and the first step was admitting there is a problem. The Clean Sport initiatives were the way forward. Then came questions, and the progressive list was front and centre. Probing centred around how the list got on the agenda in the first place. Wasn't there a risk, delegates asked, of it clouding the bigger picture surrounding the FEI's Clean Sport initiatives? There was an effort to have the list buried then and there. Horse Sport Ireland chairman Joe Walsh stood and spoke against the progressive list, urging FEI president Princess Haya to withdraw the list from the agenda the following day. She declined. "At the time he sat down there was a huge round of applause," Ellis recalls. "You would not have found anyone in the room who was going to vote for the progressive list," he said. "The Americans were challenged as to whether this proposal had come from them." Ellis said United States Equestrian Federation chief executive John Long replied with words to the effect that it did not come from them, and they did not support. It appears the US later changed its view. On November 30, its federation issued a statement in support of the progressive list, hailing it as step forward and a commitment to horse welfare. That said, the United States urged caution in its implementation. "Without a carefully prepared education and communication programme, a premature implementation of this rule is risky and has high potential of causing a series of unintended consequences." The "unintended consequences" included the potential impact on team participation at the 2010 World Equestrian Games in Kentucky. Lord Stevens and Professor Ljungqvist had both been asked whether they felt the progressive list could cloud the Clean Sport initiatives. Both diplomatically skirted the issue without offering an opinion, saying the question was one for delegates to decide. The General Assembly gathered on Thursday and turned to the Clean Sport initiative. Ellis says votes on half a dozen or so issues were required to pass all elements of the programme. Support was, as far as he could see, unanimous. Then came the final vote, on the drugs lists. Nations were offered a choice between the progressive list and the existing zero-tolerance prohibited substance list, albeit updated for 2010. "No debate was offered," Ellis said. "No debate was asked for." Nations pushed their buttons to vote and 30-40 seconds later the result came up on screen: 53-48 in favour of the progressive list. "There was this audible groan in the room," he recalls. Delegates had voted in a raft of Clean Sport initiatives, while at the same time throwing out the long-standing zero-tolerance policy for a handful of commonly used anti-inflammatory medications. "Clean Sport had just vanished out the window 20 seconds after it was voted through," he said. European nations were clearly agitated, keenly aware of the impact the decision could have on their commercial interests. First Vice-President of the FEI, Sweden's Sven Holmberg, immediately recognised the ramifications of what had occurred, telling delegates they had taken a vote which was about to divide the sport. He formally noted his objection to the progressive list before successfully standing for re-election as Chairman of the FEI Jumping Committee. Delegates broke for lunch and the progressive list got the debate it had not received before the General Assembly. Britain, Ellis recalls, was openly talking of the need for a re-vote. "The clear view," he said, "was that some nations did not know what they were voting on." Later in the day, during the veterinary part of the General Assembly agenda, the progressive list came up for discussion again. "The Irish asked three or four times for a re-vote," Ellis said. Princess Haya repeatedly refused, pointing out that some nations which had earlier voted were no longer still in attendance. Ellis said the voting system did not publicly record the vote of each nation. "Just who the 53 nations were [that supported the list] has never really been known." Ellis said he believed several Middle Eastern nations would have supported the list. Canada is the only nation he is personally aware of that acknowledged it had voted in support of the list. "Whether the Americans did is really not known." There was a feeling, he said, that there were "a large number of non-English-speaking nations who thought this [vote] was another rubber-stamp for the Clean Sport recommendations". "They didn't understand and weren't present the previous day." Ellis said the public relations value of the Clean Sport initiatives had gone out the door in a matter of seconds with the adoption of the progressive list. A group of 15 top-level equine veterinarians wrote to Princess Haya outlining their grave concerns over the move. 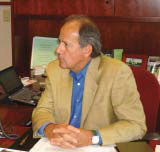 The vets, led by former FEI Veterinary Committee chairman Leo Jeffcott, described the list's adoption as premature, ill-considered and seriously retrograde. The British Equine Veterinary Association chimed in, with spokesman Henry Tremaine saying it was a backward step for equine welfare. "We have grave concerns that horses competing whilst under treatment with pain-relieving medicines are at an increased risk of musculoskeletal lesions progressing to catastrophic injuries." German Equestrian Federation boss Breido Graf zu Rantzau appeared to talk of the possibility of European equestrian nations breaking away from the World Equestrian Games, but went on to stress that continuing under the FEI remained a top priority. Princess Haya responded to the growing debate, noting that the World Anti-Doping Agency (WADA) acknowledged a difference between "performance enhancing" or "performance-restoring". "On the WADA list, non-steroidal anti-inflammatories are not considered to be problematic in human athletes," she said. "There are, however, arguments that, just as in human athletes, the use of NSAIDs is acceptable to the extent it does not exceed certain levels (in humans, there is no limit), and is in fact more humane as it allows for very basic treatment close to competition that could be required to treat, for example, simple travel-related stiffness. She continued: "There is also the argument that the banning of such substances is unrealistic as, since these are arguably a necessity, a ban creates a situation that does not allow for legitimate treatment by penalising it. "I am inclined to support the latter arguments and brought them forward to the 2009 General Assembly in order to offer delegates a real choice." The vote's outcome, she pointed out, "clearly demonstrates that there is not a universal belief that the use of such substances below defined limits is performance-enhancing". There was, she said, "a significant body of opinion that permitting the use of certain substances, in certain cases with prescribed limits, is compatible with protecting horse welfare". Her arguments failed to stem the tide. New Zealand laid out its position. Ellis wrote to the FEI: "New Zealand has a fundamental and unequivocal belief that the use of NSAIDs in competition is detrimental to the standards of horse welfare that we set in this country. Their use also compromises the image of our sport with competitors, supporters, sponsors and public alike." The British Equestrian Federation voiced its deep concern, arguing the progressive list was "bounced" on national federations with too little notice. "Never before have we seen so much anger in our sport in Great Britain," said chief executive Andrew Finding, who labelled the situation a crisis. "There was no time for consultation, effective global debate or consideration of the serious implications of the dramatic policy change placed before the General Assembly," Finding said. Britain joined other nations in urging the FEI to delay the planned January 1 implementation of the list and, early in December, the FEI bowed to the pressure, delaying its implementation to April 5. It acknowledged that the progressive list debate had completely overshadowed its Clean Sport initiatives. It accepted there was clearly further need for further debate. "The FEI recognises that a number of issues arise as a result of this policy change," it said, accepting there had been "widespread unease about the late publication of the progressive list". Federations voted this week by email on whether implementation should be delayed beyond April 5 - to the November General Assembly in Chinese Taipei, which would push it out beyond the 2010 World Games. Results of the vote have yet to be announced. Ellis firmly believes that if the decision is revisited in Chinese Taipei, the progressive list will be consigned to history. He believes Princess Haya seriously underestimated the degree of feeling the progressive list would generate. All nations would go to the Chinese Taipei meeting with a full understanding of the issues and a majority would vote against its introduction, he believes. "We are confident this [list] will never come into practice. I hope that confidence is not misplaced," he said, "but I would be very surprised if it passed after a proper vote and discussion." Which begs two questions: where did the progressive list come from, and why was it sprung on national federations just six days before the General Assembly? Ellis is not entirely certain. The FEI, in a question-and-answer document it put out early in December, said the progressive list resulted from feedback received after the publication on October 20 of its "Current Proposed Prohibited List". This was the zero-tolerance list, which was simply an updated version of the existing list. Perhaps Princess Haya's response to the 15 veterinarians who wrote to her provides some clues. She talked of offering delegates "a real choice". She spoke of the need to maintain "the health and well-being of horses through humane and strictly controlled veterinary practices". "Imposing sanctions for the abuse of substances also provides a high deterrence value for the abuse of these controls." She continued: "These were very much the considerations behind proposing two alternative lists which were put forward for a vote, aware of the compelling arguments for both." Had Princess Haya felt the need to provide nations with a choice? If so, why was little or no opportunity provided to debate the relative merits of the two lists? Why were the "compelling arguments for both" not fully aired? Princess Haya said the drug threshold levels were advised by experienced national team veterinarians, including those of the United States and German teams. However, as Ellis points out, asking veterinarians where they would set such thresholds was one thing. Asking whether they actually supported them in the first place was a very different matter. An expensive programme of reform aimed at resurrecting a drug-tarnished reputation has been completely eclipsed by the progressive list debate, which was sprung on delegates late and went to a General Assembly vote with virtually no discussion. Ellis is clear in his view that the paper war and tweaking of drafts that went on in the lead-up to the General Assembly did not reflect well on the world body's governance. Ironically, it was little different in 2008, and delegates had indicated to the FEI that they did not want to go down the same route. The late emergence of the progressive list and the concerns voiced publicly by national federations over the process surrounding its adoption indicates, perhaps, that the lessons were not learned. The FEI may well have been wise to heed the sentiment expressed in three simple words by American statesman Benjamin Franklin: "Make haste slowly."